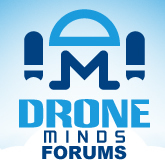 Discussion in 'Yuneec Drones' started by Flora, Sep 12, 2017. Ultrax 6300mAh 14.8v 4S replacement lipo battery befit for Yuneec Typhoon H drone, up to 22mins of flight time. Upgraded smart batteries with new appearance design, it is a high performance battery. $51.89 Local US Free shipping . It looks pretty great. Thank you for share.